Often, our law firm fields calls from individuals who have suffered injuries in accidents caused by Lyft drivers. They may not know the best way to earning a settlement and will tell us that they tried all the best tips recommended to them by friends. There are seldom any well-hidden or secret tricks that will allow you to receive a larger settlement offer, but there are ways to ensure that it happens. Following protocol and not giving York Insurance or Lyft an opening to deny your claim is important. Our lawyers at the Kenmore Law Group have taken on many Lyft accident cases and can help you formulate the best strategies for improving your settlement offer with Lyft’s York Insurance. Lyft accidents are common now that the app has gained national popularity. The company allows regular people to sign up as drivers and then transport customers from location to location. It is one of many work-from-home-and-on-your-own-schedule driving apps to hit the scene recently. The allure for customers lies in its convenience, as a driver is never too far away, and the price, which is usually cheaper than conventional taxi cab fares. There is a reduced need to use public transportation and potentially face delays and a packed bus or train. However, because the pay is not top-notch, Lyft drivers often speed and ignore some laws of the road in order to get as many customers as possible. This raises the risk of accidents for all drivers and can lead to devastating consequences. Often, Lyft drivers will speed, use the app or their cell phones while driving, fail to observe right of way laws, and more. As a victim of a Lyft accident, you should be able to show that the driver acted with negligence and caused an accident that resulted in harm to your body. 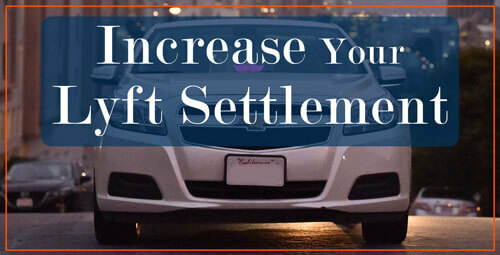 One of the important factors that will help you to increase the settlement offer from Lyft is evidence. More often than not, insurance companies will deny a claim due to lack of evidence. You can start by collecting statements from any witnesses or passengers who saw the crash happen and can provide their testimonies. The more people you have who can back up your claim, the higher the chance you win your case. You should also take photos of your injuries, the damage to your vehicle, and the accident scene so you can prove the crash is what caused everything. If you do not have evidence to present to York Insurance, they will likely reject your claim. The more evidence you have, the likelier it is that you will receive a fair settlement offer. If you want to get a higher settlement offer, read below. The more experience the person has, the more money they are likely to receive. On the contrary, if you are a layperson who has never dealt with accidents, you are unlikely to get anywhere with these companies. At best, if you are lucky, they might offer you a few hundred dollars or a couple of thousand dollars to make you go away. But such minuscule amounts won’t even begin covering your medical bills, let alone other costs. You will not be able to file a personal injury lawsuit if you did not suffer any physical injuries in your Lyft accident. When you submit a claim to York Insurance, the primary determining factor of your settlement offer will be your injuries – how severe they are, how many there are, and the impact they have on your career and daily life. If you suffered debilitating damage to your hands, for example, and you could no longer use everyday household items and you would not be able to complete your job responsibilities, you would likely earn a large settlement. The key is to not hide any injuries from the insurance company, but to also not lie and make up damages. This is why medical help is so important. 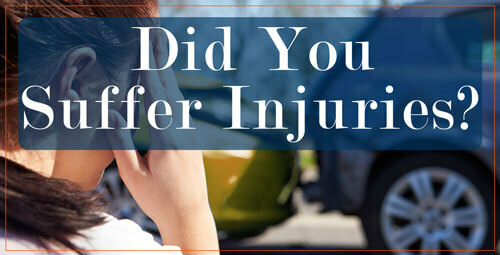 After an accident, you should immediately get treated by paramedics or go to the hospital for further evaluation. If there are any injuries that the burst of adrenaline is masking, the doctor will find them and diagnose you. If you wait too long, it will be easy for Lyft to claim that you must not have suffered those injuries as a result of the crash since you did not need medical attention immediately afterward. Some common injuries that you can receive in Lyft accidents include traumatic brain injuries, concussions, broken bones, fractures, lacerations, bruises, cuts, internal organ damage, and more. A broken bone will likely put you out of work for some time, but often not permanently, unless it was accompanied with nerve damage or was unable to properly set and fixed. In order for you to maximize your potential settlement offer, you should be aware of how Lyft’s insurance policy works and how much you can be covered for. This way, you will be able to request the maximum amount possible and will not shy away from seeking all of your expenses to be covered. Initially, Lyft did not offer its drivers any insurance coverage, stating that they were independent contractors and thus did not warrant coverage. The problem with this was related to private insurance policies, which do not cover any accidents that occur under commercial driving. Therefore, the drivers were essentially on the road with no insurance, and anyone involved in an accident would have no reliable way of pursuing compensation. When a Lyft driver has the app turned on and is waiting for a fare, he is covered for up to $50,000 per person and $100,000 per accident. Property damage is covered for less than both, at $25,000. Once the driver accepts a fare, the coverage rises to $1,000,000 per person and does not go back to the original policy until the ride is over. This coverage also takes care of passengers and anyone involved in an accident. Underinsured and uninsured motorist coverage equals this amount as well. If you are struck by a Lyft driver who does not have his own insurance, for instance, you will be able to collect based on the uninsured motorist policy York Insurance has given. There are many ways to ensure that you are given as high of a settlement offer as possible, but unfortunately, it is not uncommon for York Insurance to reject your claim immediately and call all of your requests into question. Insurance agencies have a goal to not pay out settlements if they can help it, and they will usually regard claims that have physical injuries in them as too expensive. You may find it extremely difficult to negotiate with York Insurance. Not only will you likely be inexperienced at negotiating, but you will also have a hard time if you are injured and cannot leave your home or will delay the recovery process if you do. You may grow tired very easily, for example, or increase your stress levels, which will harm how fast you heal. Additionally, it can be expensive to handle a lawsuit by yourself, as you will not have easy access to expert witnesses and such. At our law group, we make sure to handle your case efficiently and with great dedication. You are our top priority, and we will stay on top of your lawsuit by consistently checking in with York Insurance to keep your claim at the top of the pile. We will use our expert negotiation skills to bring you a settlement you will be satisfied with. Further, we will have all of your evidence compiled and sent to the insurance adjuster within the statute of limitations. All of the legwork that comes with filing a claim against Lyft is made much easier with the help of an attorney, and you are much more likely to maximize your settlement offer if you seek out legal help. Our team of attorneys at Kenmore Law Group is here to bring you the compensation you deserve, including coverage for your medical bills, damaged property, lost wages, pain and suffering, punitive damages, and more. We believe that the best way to increase your settlement offer with Lyft insurance is to subscribe to legal help. Our aggressive attorneys are willing to take your case to court and to constantly work to bring you the maximum restitution available under the law. 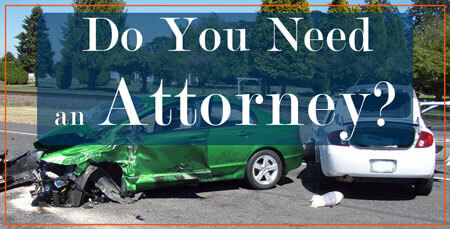 Call us today for a free legal consultation with an experienced attorney. All of our consultations are completely free and confidential, and our lawyers can be reached around the clock. If you have any questions about Lyft accidents or what else you can do to make sure you are not given a low settlement, contact us. We will discuss your case with you and what we believe its value is. 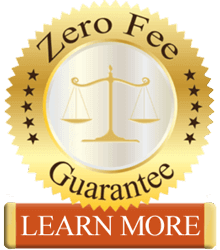 If you hire us to represent you, we will give you a zero fee guarantee on your claim which promises that you will not have to pay us any out of pocket expenses for our services. We will only get paid if we win your case, and the fees will be taken out of the settlement we bring you. Lyft will essentially cover your legal bills. If we lose your case, you will not owe us a dollar, and we will eat all the costs of the case ourselves. Contact Kenmore Law Group today to talk with a Lyft accident lawyer to learn more about the best ways to increase your settlement offer with York Insurance.